Conservatories made out of glass are aesthetically pleasing and keep your room bright and airy. However, the extensive use of glass means they are prone to becoming unbearably hot during the summer. Cooled conservatories ensure you can utilise your room all year round and will make for an ideal place to spend time in warm weather. Like a greenhouse, your conservatory traps UV and infrared heat radiation. Once inside, the hot air rises and gets trapped under the roof, making your conservatory feel extremely hot and uncomfortable.  For all your conservatory needs, Conservatories in Milton Keynes is an excellent place to get inspiration. A conservatory is a perfect place to entertain friends and family when hosting a summer BBQ. Everyone can still get involved with all the action happening in the garden but from the comfort of your chilled conservatory. Regardless if you are hosting a family get together or want to look at your picturesque garden in all its glory, when the weather is hot you will want to make the most of it. However, this becomes almost impossible when you can’t bear to sit in your overheated conservatory for more than 5 minutes. Everyone wants their conservatory to be the perfect sanctuary to relax and enjoy the warm weather, and the only way to do this is to keep your room cool. From simple solutions such as blinds and fans to innovative products such as window film, there are so many ways to keep your conservatory cool and comfortable. The sole purpose of conservatory window film is to reduce excess heat and glare from entering your conservatory. The film is an adhesive layer which can be easily applied to the inside your roof. In fact, you can even apply it to the roof yourself, but it is recommended you do this on a cold day or early in the morning to prevent the film from drying too quickly, making it impossible to apply. By reflecting around 80% of the sun’s heat away from your conservatory, it will keep your room cool, prevent harsh UV rays from damaging your skin and stop soft furnishings from fading as a result of being under direct sunlight. A significant benefit of conservatories is, of course, the unlimited amount of light that can enter the room; however, this can be problematic due to the heat that comes along with it. In a conservatory, light and heat can enter from almost any angle, including the roof. The best way to tackle this issue without breaking the bank is having roof blinds fitted. Blinds are a very subtle feature which will not affect the aesthetics of your conservatory and do not have to be on display every day of the year. Blinds are also very versatile and can be used during the winter to minimise any heat escaping from the room. As well as roof blinds, side blinds are a great investment to regulate the temperature in your conservatory but also give it a unique interior. There are many styles to choose from including roller, vertical, pleated and roman and a variety of colours and designs which will look great in any home. The key to keeping your conservatory cool during summer is effective ventilation. If your conservatory has lots of windows, opening them all up as wide as possible will help circulate the airflow and enhance the room’s ventilation. 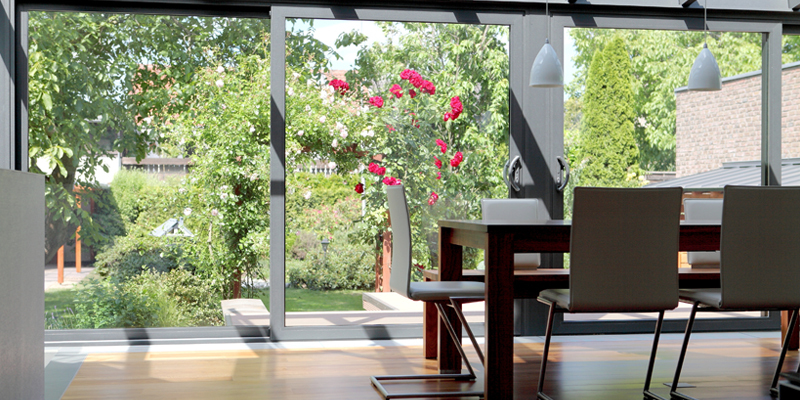 Keeping your door open during the day is also a great way to let air into your conservatory. If your conservatory has air vents fitted, then the summer is the best time to put them to use. However, if you do not have air vents you should consider installing an openable skylight. Unlike fixed skylights, opening skylights will allow you to release the hot air that gets trapped inside your conservatory. This improved air circulation will make you will keep your conservatory feeling fresh and avoid any stale or musty smells. Although installing air conditioning in your conservatory can be quite expensive, it is guaranteed to work and one of the most effective cooling methods available. Some air conditioning units also have added heating systems which means you can utilise it all year round, making it good value for money in the long term. Another benefit of air conditioning is how easy it is the control. A lot of modern units can now be controlled from your smartphone or tablet, and you can decide on the temperature, the fan speed and the mode (hot or cold air). If you like the idea of air conditioning but find the expense quite offputting, an alternative is solar-assisted air conditioning units. Being solar-assisted, they are ideal for summer months when the sun is out in full force but are also good for the environment and considerably cheaper to run. A ceiling fan will not only cool your conservatory, but it will also reduce energy costs, enhance your room’s style and provide comfort. Keeping windows open while the fan is in operation is vital to ensuring the hot air has an “exit route” and cool air can be drawn in from the outside. Ceiling fans are available in a variety of styles and colours, so you are guaranteed to find one that will complement your conservatory perfectly. Standing fans are a great alternative to ceiling fans as they are not a fixed feature and can be moved around your conservatory at your convenience. Argos have a generous selection of standing fans in various colours and styles so you will be able to find the perfect one to suit your conservatory. There is nothing worse than feeling hot and bothered in your own home so keeping cool is essential. Your conservatories prime time is during the summer so it is important you use it as much as possible. Whether you opt for one or several of the above suggestions, we guarantee your conservatory will remain an ideal temperature throughout the summer.